Jonah – age 4, believes that NO tummy should be empty. He raised $182 for Blessings in a Backpack at his ECHOage birthday party! | ECHOage - Get great gifts. Give to charity. ← Hanna raised $130 for Canadian Diabetes Association and is saving for a brand new iPad. Jonah – age 4, believes that NO tummy should be empty. He raised $182 for Blessings in a Backpack at his ECHOage birthday party! 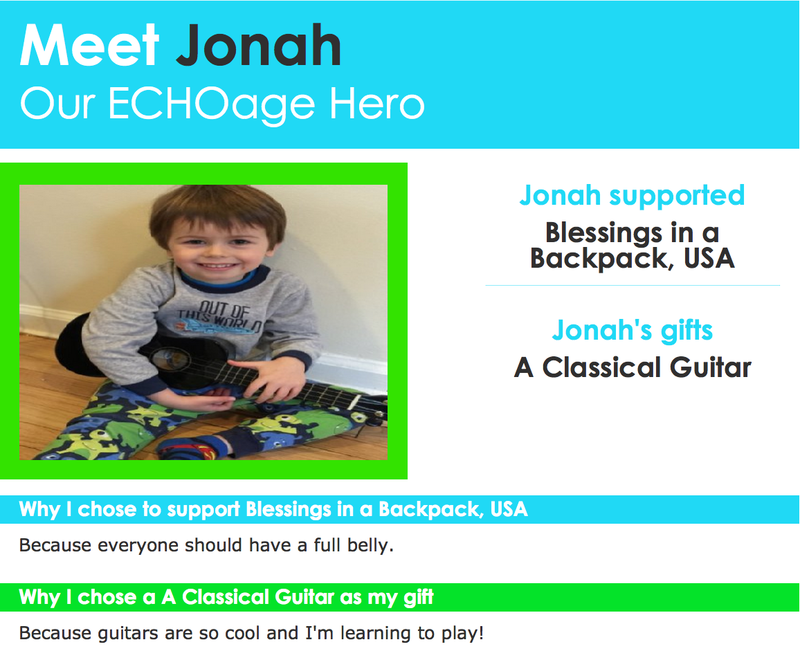 We can’t wait to see what you do for your 5th birthday – Jonah! Happy, happy birthday!